With the explosive market development of the cryptocurrency industry, digital asset exchanges have evolved to be one of the most important and developed parts of the blockchain industry, meeting the increasing market demand for trading and playing the significant role of connecting the primary and secondary markets for all the market participants from those involved in project financing and venture capital to institutional and retail investors, and ultimately facilitating the capital formation mechanism in the cryptocurrency ecosystem. The economic model of blockchain technology is built upon digital tokens and the consensus mechanism- digital tokens unlock the economic value and activate the internal ecosystem of the blockchain; while the distributed consensus mechanism ensures the efficiency of the operating platforms. The incentive system based off interest and profits is the core driver to the development of blockchain projects in the cryptocurrency economy. The blockchain technology has emerged as the core system and tools in support of autonomous management. After Satashi Nakmoto established a set of general rules in his 2008 white paper “Bitcoin: A Peer-to-Peer Electronic Cash System”, the entire blockchain community has been operating through a decentralized approach, further gradually evolving into a distributed autonomous system. Similar to the traditional market economic system, the distribution of products is dependent upon the quantity and the output of labour; whereas the right of usage, ownership and right to operate together with investors, shareholders, employees, and customers are fully integrated in the blockchain eco-community. As a result, all the participants would share in the benefits of community development and support better mobilisation of resources, in order to create a virtuous cycle of profitability. The recent development and expansion of the blockchain ecosystem has ushered in a new era of the distributed autonomous economy over the traditional economical forms of capitalism and socialism. would fundamentally reduce organisational attrition and increase productivity. pool, and joint ecosystem building. building and ecological maintenance of the mining pool. management and building of the mining pool would receive greater remuneration. ctroumstmedu nity-based autonomous economy with a set of open and fair rules. twraitnhs pcaormenpcleyt eo f all the transaction records upon request. 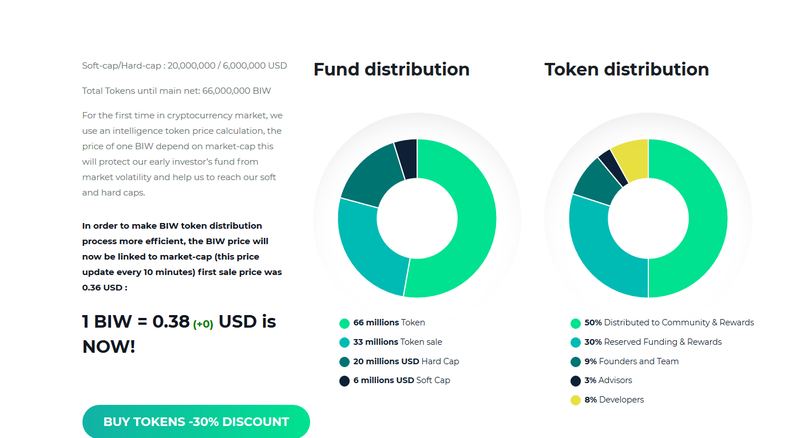 FOK, and ICO and provides trading support for quant funds. The security management system is built in cooperation with a top-tier security firm. participate in the BitWorld ICM for a better opportunity. What is Bit World Coin? technology. It is the core asset of the new Bit World Exchange. standard compliant digital tokens on the Ethereum blockchain. than the right to use BIW as a means to enable usage of and interaction within BitWorld. actively participate will not receive any BIW incentives. limit of 10 billion BIW is strictly imposed without any further increase. also be purchased on the exchange under the pairs of BIW/BTC, BIW/ETH. Foundation, the Distributor or any of its affiliates. interest in these contributions or the assets of that entity after the token sale. 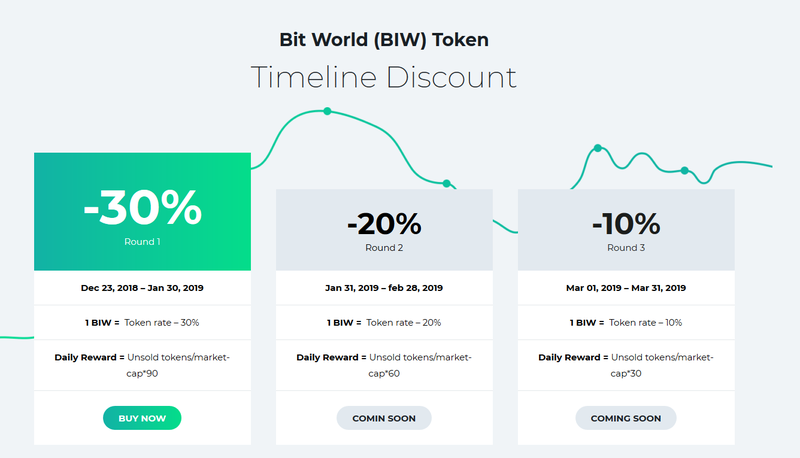 BIW will be used as the unit of exchange for all services and operations offered on BitWorld. will automatically convert and deduct the amount of BIW to be paid for transaction fees). 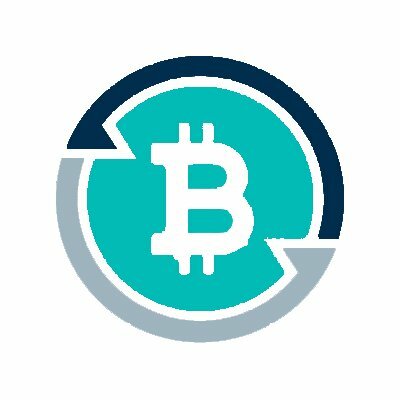 transaction fees would be issued to that user, as reward for trading on the BitWorld platform. eligible for 1 million BIW. 400ETH would be available for distribution. listing of tokens on BitWorld. recognition of the contributions of individual miners. order imbalances in the market. ilenvceenlst iovfis ation to meet the requirements of diversified markets and customer groups. icnodlliavbidouraatli ounse rasc rfoosrs m aximum productivity.